Learn logo design tips for bloggers who don't have a clue with design to create simple yet stunning logos that will elevate their blog's brand. Have you not started a blog? We will help you to start a blog. 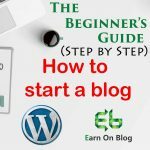 Here is a step by step guide for how to start a wordpress blog. With the best hosting for wordpress here is a step by step with picture tutorial. 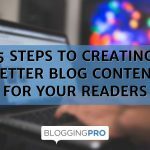 Learn why creating better blog content will help fast-track your way into the mind of your target audience and help increase your blog traffic as well as improve conversion. The saying “A picture is worth a thousand words” is no truer than it is in blog posts. Here's how you can get the maximum benefit by using images on your blog. Ten years ago, you had to know some web coding to protect yourself, but now there are so many editors and plugins available that even knowing the basics of HTML is no longer required to run a blog. The problem with this is that if you don’t know a few basics, you can easily get into real trouble in your blog and have to hire a pricey developer to fix what may be a minor problem. Not only that, but creating changes to your blog such as adding a custom text widget requires a little knowledge. And if you are experiencing content layout doesn’t look right, HTML knowledge can get you back on track. Here are some very basic HTML pointers for everyone. SEO checker tools abound online. 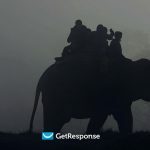 But which ones deliver real, actionable SEO insights that will help you get ahead? Check out these 6 checker tools today! Our Market Samurai review seriously tears into the tool: features, pros, cons, plans, pricing. See if it's the right sword to slice through SERP competition! Learn about the methods to use and plugins to install to prevent your WordPress site from bleeding money at every turn. Follow these tips and set your site on the road to turning a profit.